If you want your guests to leave raving about the exceptional catering and delicious food at your lunch or dinner party, hire Emili and her team of professional caterers from Whatever Works Catering. Whether you want Italian catering or Mexican food served at your special happening, you can work with her to develop a custom menu that everyone will love. 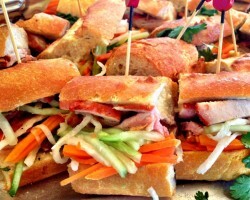 This local caterer specializes in corporate and personal events. They can deliver, set-up and clean up so that you can enjoy your event with no stress. For the last 6 years, Zee Catering has been providing the entire Treasure Valley, full service catering for events of all shapes and sizes. They are one of the few wedding catering companies in Boise that offer local Idaho food on their catering menu.Chef Zee and his team prepares all their foods from scratch. Their good working relationship with local ranchers, wineries and farmers enable them to serve the freshest and most authentic foods and drinks at the events they cater. 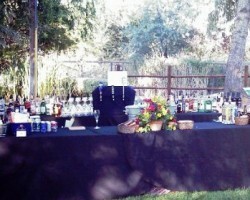 With Jo’s Travelling bar, you will not have a thirsty person at your event. Jo and her staff have a wealth of experience working hundreds of events big and small from intimate BBQ’s to gala weddings. They are skilled caterers and bartenders who can make all types of drinks from Manhattans to martinis to wash down your shrimp or crawfish. They bring a flare and sophistication every event so there is no point in hiring an armature bartender to cater your event. 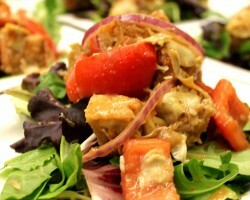 Open Table Boise Catering promises stress-free catering and the best food in Boise. The executive chef, April Hale is very passionate about her work. She always keeps up with the latest trends in foods and recipes. Using fresh and colorful ingredients, she creates beautifully presented flavor-filled food from scratch. 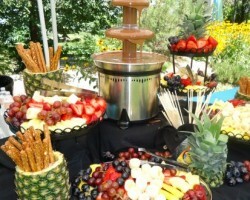 Clients love this Boise catering service company for their ability to go beyond the standard experience to craft unique, customize menus. They can handle beverage services, cocktail hours, plated dinners and more. Are you hosting a party? Let this local caterer create for you and your guests an exquisite dining experience. 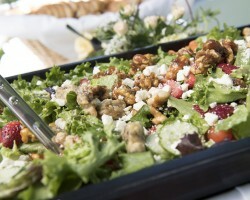 A lively Chef Catering is an off-site catering company based in Boise, ID. They can serve buffets, plated dinners or passed appetizers depending on the style you fancy. Their packages cater for all budgets with no compromise on quality meaning cost effective options look anything but cheap. A lively Chef Catering also provide china, linens tables and more event necessities at affordable rates.